Jess Gabrielli is the founder of Foldenmove - a unique mixture of art, movement and exploring potential. She has an amazing energy and is one of my favourite humans. You can find the new podcast, The Deliberate Life, here. Roy Hanford is the founder of The Fit Project, Melbourne Victoria. He is also one of Australia’s best OCR’s. TFP is the only place you’ll want to train if you’re in the Melbourne region. No mirrors, no BS, just a great community, with a great culture. You can find Roy on Instagram here, and look up TFP here. Paul Dunn is the current chairman of B1G1 - a truly remarkable not for profit that helps give businesses a soul. For 40+ years, Paul has been growing businesses for a living, and is VERY well connected with a HUGE variety of business leaders around the world, and he has a phenomenal story to share. You are going to enjoy this wide ranging, very intimate interview. You can find Paul on LinkedIn here, and look up B1G1 here. Tommy Jackett is the co-founder of Big Media Company. He is consistently featured on TV and radio via his curiously fascinating adventures with a camera. He is a storyteller and street investigator of interesting things. You can connect with Tommy on social here. You can also connect with me on social here. Chris is the founder of PixelMobb - a video based media company. He is also the founder of Dojo Muscle. Inside this interview we go deep into purpose, Chris’ rock bottom moments, BJJ fighting and the psychological response to fighting, the emotions of man, and how to build incredible trust in yourself. This is a must listen. You can find Chris here, and PixelMobb here. You can also invest in your copy of 'Your Pocket Coach' here. Lastly, you can connect with me social here. Cham Tang is Head Of Marketing and Co-Founder of Authentic Education. He is a marketing whiz and one of the few people I trust when it comes to sharing an authentic message. You can check out the Authentic Education website here to learn more about Cham his company. Invest in your copy of 'Your Pocket Coach' now. Connect with Hayden on social here. Zach Even-Esh is a long time strength coach, legend, innovator and down to earth guy. He inspires men and women just like you and me every single day through his passion, energy and enthusiasm to tackle life head-on. In today's episode, we go into who Zach is as a person, some of his history, how he got to where he is today and some of the major life lessons he's made along the way. You can check him out here via his website, or here via Instagram. 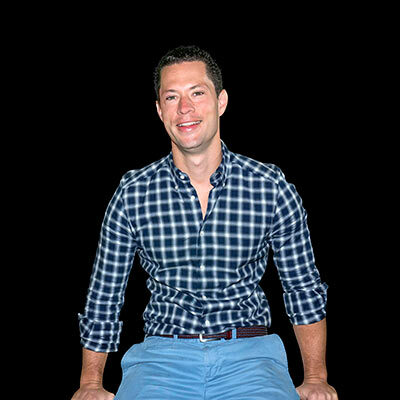 Dan Knust is a strength coach, personal trainer, business owner and founder of Definition Fitness in NSW. You can reach him here via the Definition Fitness Website. Invest in your copy of 'Your Pocket Coach' here. Great to speak to founder of JPS Health and Fitness, Jacob Schepis, recently. Jacob, his business partner, Sam, and the entire team have helped build an incredible business that now spans across two gym locations (airport west and port melbourne). This episode is huge for any personal trainer or coach looking to know what it takes and what it's like to own and run one of Australia's premium fitness facilities. Four years since we last podcasted (is that word?) it was great to speak with, Elliott Hulse, on my podcast. Since finding him on youtube maybe 8 years ago, Elliott (and his wise advice), has had a profound effect on me, so being able to speak with him directly was great...especially for the second time. I know you're going to enjoy this discussion! Btw, Elliott has just released a podcast of his own so keep an eye out for that; catch everything Elliott here. Amazing to spend some time with inspirational leader and human growth expert, Dr John Demartini recently. I recorded our conversation for a podcast and this should give you a direct insight into John’s life and the amazing situation he is in today. This is a direct result of finding a problem to solve and then dedicating himself to the outcome. There are many lessons to be learned from within and I hope you enjoy. It was great to chat, converse and connect with inspirational leader, Geoff Jowett recently. This episode is very raw and real, and goes into Geoff's journey. If know you're going to enjoy. Over the past few years, I've been fortunate to get to know a man most commonly known as JPDV. He is one of the world's best performance coaches and when I say that...I actually mean it. JP is a good friend and this podcast has SO much value knocked into it, that I am excited for you to hear it. Go ahead and give it a listen and when you're done, let me know what you think. Dr Edith Eger is a holocaust survivor, author, psychologist and family woman. She is an incredible inspiration and her book: 'The Choice' is rapidly becoming a best seller. At 91 years of age, she is one of the wisest, most vibrant people I've ever spoken with. You will be sure to enjoy this interview. Please do yourself a favour and purchase her hugely transformational book via her website here. Shep Hyken is a customer service and experience expert and the Chief Amazement Officer of Shepard Presentations. He is a New York Times and Wall Street Journal bestselling author and has been inducted into the National Speakers Association Hall of Fame for lifetime achievement in the speaking profession. You can see Shep's website here. You can sign up to daily inspiration emails from me here. You can download my guide to starting a solo podcast here. Brilliant (and inspiring) to have Kevin Roberts back for his second time on the podcast. After devouring his book 64 shots the first time and getting him on the podcast within 48 hours the same thing happened again. I picked up the book and was deeply driven to get him back to share his insights with you. You can read KR's blog here. You can grab his book here. You can sign up to my daily dose below or here. Great to speak with my good friend, and fellow educator, Dan Henderson. You can sign up for daily inspiration emails here. You can get your copy of my book here. You can follow Dan on Facebook, Instagram here, as well as see his website here. Don't forget to subscribe to get new episodes every single week. In this episoide, the legendary Craig Harper, interviews me for my own podcast. We go deep and there is a lot of personal things that you will learn about me. If parts of this resonate with you, please let me know - would love to hear more.